Designers and manufacturers of military aerospace and defense systems are increasingly embracing commercial off the shelf (COTS) components to underpin their system architectures. Constrained by budget cuts while simultaneously encouraged by the performance, reliability and cost profiles of the latest generation of COTS components, more and more aerospace and defense system developers are sourcing components from suppliers that service high-volume commercial markets, and this is driving cost structures downward. This trend has naturally extended to RF-driven systems across the defense market. RF components originally targeted at commercial markets are now routinely utilized for a wide range of defense applications, from military radios and EW jammers to portable radar installations and beyond. Today, it’s not uncommon for RF components originally designed for use in test and measurement equipment or point–to–point wireless to find their way into satellite down links. This latter development might come as a surprise to some, given the stringent reliability thresholds that military satellites have traditionally been expected to meet. But the newest generation of ultra compact, plastic-packaged semiconductor-based COTS RF components hold the potential to satisfy these requirements. In fact, these components may open the door to a new class of low cost, mass produced micro-satellites designed to enhance the reach, resiliency and agility of modern military satellite networks. The concept of micro-satellites, while perhaps somewhat new to the military domain, is very much on the minds of commercial high-speed Internet providers. In separate announcements in early 2015, SpaceX and Virgin Group, which operates the Virgin Galactic commercial spaceflight company, revealed their respective plans to invest in the development of micro-satellites that could one day facilitate a low-cost global Internet service capable of delivering high-speed broadband to even the most remote regions of the world, which to date have not been economically feasible to connect using terrestrial networks. Needless to say, this activity has profound implications for the more than half of the world’s population that currently lacks Internet access (source: International Telecommunications Union). Virgin Group is funneling its investment into OneWeb Ltd, founded in 2012 under the name WorldVu, which has announced plans to produce a fleet of 648 micro-satellites – each weighing less than 300 lbs and costing less than $350,000 – which together would comprise a satellite “constellation” that orbits the earth in large clusters, delivering high-speed Internet connectivity around the world. This proposed satellite fleet would dwarf the size of Iridium Communication’s network of 66 active satellites, currently the world’s largest commercial satellite fleet. OneWeb envisions an assembly line approach to manufacturing these micro-satellites – an approach that stands in stark contrast to traditional “one at a time”satellite manufacturing operations, which can span several years and cost tens of millions of dollars per satellite. OneWeb expects its micro-satellite constellation to be operational in approximately three years. Mesh network resiliency: The highly distributed composition of a micro-satellite constellation ensures a broad reach of communication coverage, while minimizing dependencies on any single satellite node. The sheer number of micro-satellites in deployment would help to ensure a high level of redundancy throughout the network, thereby reducing the susceptibility to network disruption caused by anti-satellite missile strikes, collisions with other manmade systems, and/or naturally occurring phenomena. Lifespan and upgradability requirements: Modern military satellites are typically designed to support multi-decade operational life spans. Less expensive, mass produced micro-satellites on the other hand might be deployed for much shorter intervals, with hundreds to thousands of spare micro-satellites on hand and able to be deployed on short notice if needed. This approach could also enable faster satellite network upgrade cycles, putting higher performing, multifunctional micro-satellites into operation quickly and relatively easily. Small size, light weight, easier to deploy: The reduced size and weight of micro-satellites introduces a host of benefits centric to ease of deployment. Compact, lightweight micro-satellites would minimize demands on rocket cargo space and fuel supply, and could be deployed in batches via a single rocket. When deployed, the small form factors of these satellites could make them difficult to detect by enemy forces, and harder to target and disable with conventional weapons. All of the aforementioned benefits hinge in part on the ability of modern COTS RF components to rival and/or surpass the performance profiles of earlier generation MIL-grade RF devices, while introducing and maintaining significant manufacturing and cost efficiencies. The market arrival of high-performance, plastic-packaged semiconductor-based RF components that support surface mount manufacturing processes is crucial to this equation. Semiconductor-based RF power devices that can be assembled using highly automated commercial techniques can equip designers of military satellite systems to achieve the required electrical performance, while accelerating time to market. Surface mountable, plastic-packaged semiconductor-based RF power components have set a new standard for harnessing high power in small enclosures, eliminating many of the size, weight and manufacturing limitations of conventional ceramic-packaged offerings. Meanwhile advancements in “green”molding compounds are eliminating outgassing issues and minimizing the presence of problem substances that could deposit onto solar panel arrays. Many would agree that plastic-packaged RF components will one day be commonplace in military satellites, following a trend that NASA initiated when it issued its guidelines for the use of plastic encapsulated microcircuits (PEMS) in civilian spacecraft. It will take some time, however, for military satellite OEMs to regard these devices with a baseline comfort level on par with conventional ceramic-packaged components. Stringent standards for high reliability must be maintained for high value, long life cycle defense satellites – standards that commercial satellite OEMS needn’t adhere to. For the latter, there is an assumed risk of component or system failure, balanced against the cost benefits achieved in part by foregoing resource-intensive high-rel screening and qualification processes. As hi-rel screening of plastic-packaged RF components ramps up, our collective understanding of die attach, x-ray and burn–in variables, among other considerations, will continue to grow, and qualification processes will naturally become more efficient. In parallel, supply chain continuity and process consistencies will be scrutinized and validated by federal government agencies. The Department of Defense (DoD), for example, will diligently assess fabrication facilities’ IC design and manufacturing integrity, conferring Trusted Foundry accreditation to vendors demonstrating rigorous, highly secure product control and handling processes. 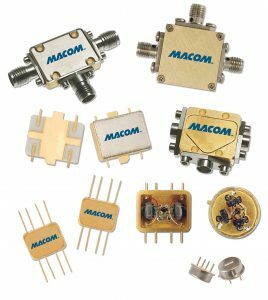 With our early innovation in high-performance, plastic-packaged COTS components and sixty years of domain experience in aerospace and defense, MACOM has unique insight into these trends. 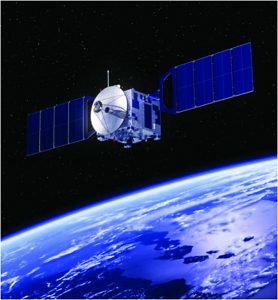 As plastic-packaged components accelerate their penetration into defense satellites, we continue to offer space and high reliability products in die and hermetic packaging that require MIL-PRF-19500, MIL-PRF-38534 and MIL-PRF-38535 equivalent environment flows and a family of QPL diodes and transistors, with semiconductors processed in our Category 1A DoD trusted and Defense Logistics Agency (DLA) certified wafer fabrication facility co-located with the company headquarters in Lowell, Massachusetts. The advent of commercial micro-satellite constellations may point the way to a future generation of military satellites that bring added flexibility and resiliency to existing defense satellite networks. Plastic-packaged, semiconductor-based COTS RF components appear well positioned to meet the unique size, weight and power requirements of this new class of military satellite, while enabling manufacturing efficiencies that drive cost structures downward.